Kick off your visit on the 30th (Sat): see the interesting displays at The Mob Museum, shop like a local with The Strip, and then ponder the design of Bellagio Fountains. Here are some ideas for day two: buy something for everyone on your list at The Grand Canal Shoppes at The Venetian, then look for gifts at Barneys New York, and then explore the striking landscape of Red Rock Canyon National Conservation Area. For other places to visit, traveler tips, ratings, and more tourist information, use the Las Vegas online driving holiday planner . Bengaluru, India to Las Vegas is an approximately 26-hour flight. You can also do a combination of flight and bus. The time zone difference moving from India Standard Time to Pacific Standard Time is minus 13 hours. Expect little chillier temperatures when traveling from Bengaluru in March; daily highs in Las Vegas reach 27°C and lows reach 13°C. 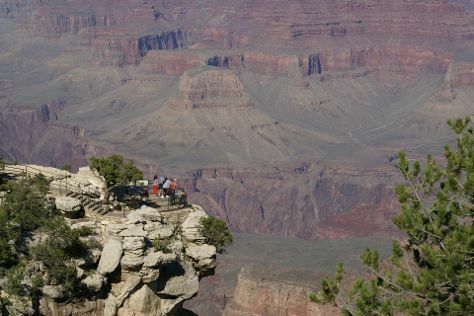 Wrap up your sightseeing on the 31st (Sun) early enough to travel to Grand Canyon National Park. Escape the urban bustle at Canyon Village Marketplace and Rim Trail. On the 2nd (Tue), hike the day away at Bright Angel Trail. The adventure continues: explore the stunning scenery at Grand Canyon South Rim, trek along Tonto Trail, and get great views at Moran Point. To see maps, reviews, traveler tips, and more tourist information, go to the Grand Canyon National Park trip itinerary tool . Getting from Las Vegas to Grand Canyon National Park by combination of car and flight takes about 4.5 hours. Other options: drive; or take a shuttle. The time zone difference when traveling from Las Vegas to Grand Canyon National Park is 1 hour. Traveling from Las Vegas in March, you will find days in Grand Canyon National Park are little chillier (16°C), and nights are colder (-5°C). Cap off your sightseeing on the 3rd (Wed) early enough to go by car to Los Angeles. 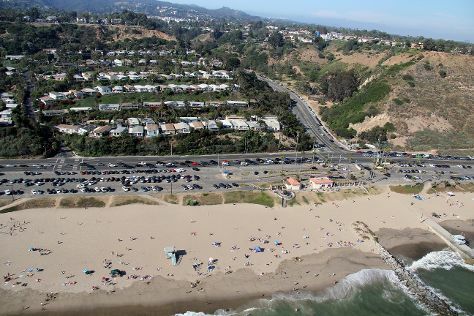 We've included these beaches for you: Will Rogers State Beach and Venice Beach and Boardwalk. Give yourself a bit of retail therapy at Montana Avenue and The Grove. Next up on the itinerary: examine the collection at The Getty Center, stop by Amoeba Music, admire the majestic nature at Santa Monica State Beach, and take a stroll through Abbot Kinney Boulevard. To see maps, other places to visit, where to stay, and tourist information, refer to the Los Angeles trip planner . Traveling by car from Grand Canyon National Park to Los Angeles takes 7.5 hours. Alternatively, you can do a combination of bus and flight; or do a combination of shuttle and flight. The time zone difference moving from Mountain Standard Time to Pacific Standard Time is minus 1 hour. Traveling from Grand Canyon National Park in April, you will find days in Los Angeles are somewhat warmer (28°C), and nights are much warmer (15°C). Cap off your sightseeing on the 6th (Sat) early enough to travel to Yosemite National Park. Do some cultural sightseeing at Big Trees Lodge, National Historic Landmark and Yosemite Museum Gallery. Escape the urban bustle at Cathedral Beach Picnic Area and Nature Center at Happy Isles. Spend the 7th (Sun) exploring nature at Elizabeth Lake, Yosemite National Park. The adventure continues: explore the striking landscape at North Dome. To find reviews, maps, traveler tips, and other tourist information, refer to the Yosemite National Park trip planning app . Traveling by combination of flight and car from Los Angeles to Yosemite National Park takes 4.5 hours. Alternatively, you can drive; or do a combination of flight, bus, and taxi. When traveling from Los Angeles in April, plan for a bit cooler days and much colder nights in Yosemite National Park: temperatures range from 17°C by day to -2°C at night. Finish your sightseeing early on the 9th (Tue) to allow enough time to drive to San Francisco. Alcatraz Island and City Lights Booksellers will appeal to history buffs. Do some cultural sightseeing at Fisherman's Wharf and The Embarcadero. There's lots more to do: shop like a local with Union Square, expand your understanding of the military at Fort Point, take a stroll through Twin Peaks, and get curious at Exploratorium. To see photos, traveler tips, and tourist information, read our San Francisco route planner . You can drive from Yosemite National Park to San Francisco in 4 hours. Alternatively, you can take a bus; or do a combination of taxi, bus, flight, and subway. When traveling from Yosemite National Park in April, plan for somewhat warmer days in San Francisco, with highs around 22°C, while nights are much hotter with lows around 12°C. Wrap up your sightseeing on the 12th (Fri) early enough to travel to New York City. Kick off your visit on the 13th (Sat): take a stroll through Fifth Avenue, then wander the streets of Times Square, then see the interesting displays at New York Public Library, and finally contemplate the long history of 9/11 Memorial. Keep things going the next day: stop by Josefinas and then explore the world behind art at The Metropolitan Museum of Art. To find traveler tips, where to stay, maps, and other tourist information, read our New York City tour planner. You can do a combination of flight and bus from San Francisco to New York City in 9 hours. Other options are to fly; or drive. The time zone changes from Pacific Standard Time to Eastern Standard Time, which is usually a 3 hour difference. Traveling from San Francisco in April, expect New York City to be little chillier, temps between 19°C and 8°C. Wrap up your sightseeing on the 14th (Sun) early enough to travel back home.